World of Business Ideas (WOBI), the leader in management and leadership content, is pleased to announce the 13th Annual World Business Forum NYC. This year’s conference theme is “Be Beta,” and will explore the concept of consistent innovation as strategy. In a world where emerging markets, technologies and trends challenge companies and leaders to grow, only those who can adapt and anticipate will thrive. The 2016 forum brings together a dynamic roster of speakers whose start-ups, designs and insights have changed the business landscape. Attendees will hear from leading figures such as Malala Yousafzai, world youngest Noble Peace Prize winner & educationist, Alan Mulally, former CEO of Ford Motor Company; Andre Agassi, tennis champion and philanthropist; Amy Cuddy, social psychologist and Harvard Business School professor; and Daymond John, founder, president and CEO of FUBU and co-star of ABC’s Shark Tank, among many others. “Entrepreneur start-ups are experiments. So just like in a science lab, the more experiments you run, the more likely you are to create something great,” says Forum Speaker Eric Ries, entrepreneur, New York Times bestselling author and pioneer of the Lean Startup movement. The global business conference will convene more than 2,500 attendees representing 900+ companies the world over. Among them, more than 60 percent are C-level and executive-level professionals. Together these thought leaders will delve into the spirit of entrepreneurship, reinvention and calculated risk. “We are thrilled to bring together such a diverse roster of speakers to the Lincoln Center’s Koch Theater this year who are truly a testament to the success individuals and companies can achieve through the Beta mindset,” said WOBI CEO Gustavo Barcia. 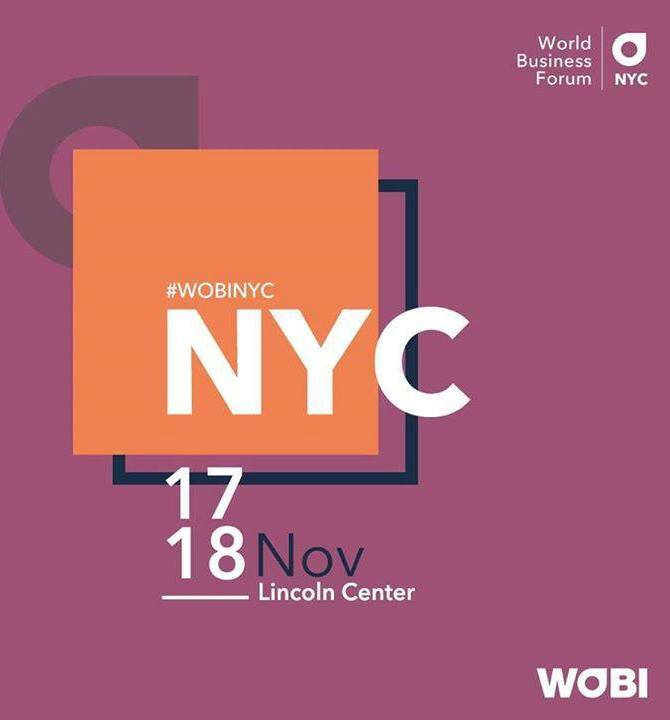 The 13th Annual WOBI Conference NYC will be held November 17 – 18, 2016 at Lincoln Center. Open to representatives from companies of all leading sectors of business, WOBI attracted nearly 3,000 attendees last year from over 65 countries. For more information or to register, please visit bebeta.wobi.com or call 212.381.8782. WOBI (World of Business Ideas) is a business content hub featuring the world’s most influential business thought leaders and doers. Through our events, television channel, print magazine and online at wobi.com, we are an unparalleled source of insight and inspiration. For more than two decades we have been serving all those restless, curious minds looking to transform ideas into projects and projects into businesses. Our mission is to create transformational experiences dedicated to building better people, better business, and a better world.